I quit my job. Or a more gentler phrase would go: “I resigned”. After 10 and a half years of service, I made the big gigantic decision to leave a desk that had become my comfort zone. Today is actually my last day at my old office. And boy does it feel weird. I guess the correct term is “bittersweet”. I thought I would feel more pumped up, but I’m pretty sad! It’s that feeling of: AACK, things are about to change! It was no easy task trying to persuade my heart and my mind to let go of the familiar for something that is completely different. But I was in a space of stagnation… no longer growing. And after years of desiring more (and realizing that hey, these peeps probably can’t, or don’t want to, give me more), I decided to take the plunge and accepted an offer from another company. The new job is nothing like my old one. In fact, it is chalk and cheese. My old position required me to literally push papers until I looked like a human paper mill. My new position requires me to push relationship, in order to make my job a success. Oh and I get to exercise my creative flair. Score! I probably do get a bit of freedom too, but with it comes hard work and dedication. I can’t believe I’m leaving! 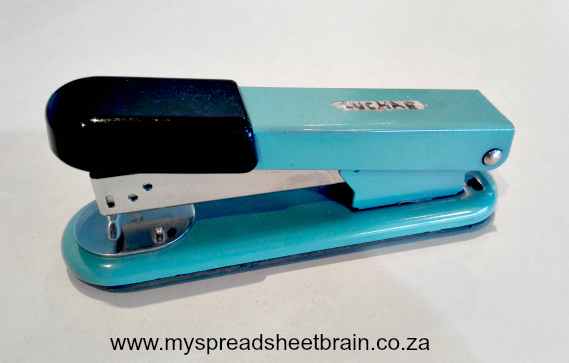 While packing up my desk the other day (yeah, I started early… spreadsheet brain, duh) I came across a stapler that I had received during my early days at the company. 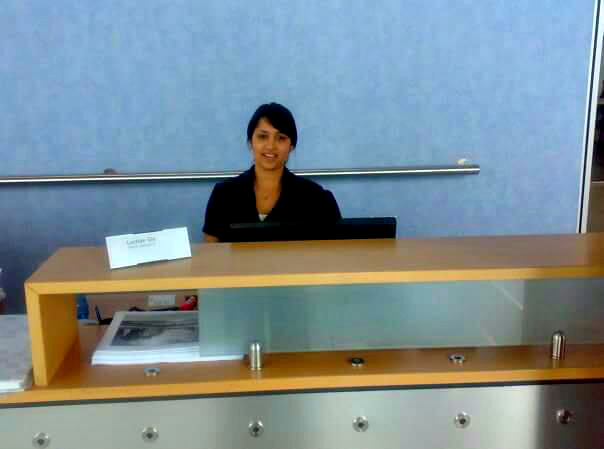 I actually started out as a receptionist. Fortunately, my brilliant mind (and obvious humility hahaha) soon saw me promoted to something more challenging. Anyways, the stapler. See the tipex, as I carefully marked it with my name. (told you I’m a marker mom) That was my way of saying, hey people guess what I’m here to stay! I figured that this was where I’d spend the rest of my life, since I am not a fan of change. But how incredibly morbid would it be to stay the same for the rest of your life?! Change is good. Change is needed. 10 years is a long time. I mean, look, in the past 10 years ALOT has happened in my life. A couple of failed relationships. Some friendship circle changes. I’ve moved house a crazy amount of times, lost 2 grandparents, reconnected with Jesus, met my Hubstopher, got married, had a baby. I also rediscovered my love for singing and writing and started this here blog. So yeah, I’ve grown. This office job was great – it was home – but it’s not big enough for me anymore. So today, as I say goodbye to a place that I thought would be my “forever job”, I shed an internal tear, and thank God that His plan for me is far more cleverer than I could ever comprehend. Why can’t women be happy for other women? Congratulations on getting an opportunity to do something that you are going to love. 6 years ago i have also resigned, had no choice because they made it so awful to work at that place, that i simply had no choice, but to resign. Still not employed, but at least i don’t have to take medications everyday just to make the day. Thus i’m glad that you have the opportunity that youcan do something that is challenging, but yet something that you would enjoy! All the best for an exciting new journey and job! Best wishes on the new journey. I’m glad you’ll get to make use of the creative side you have. Congratulations! All the best for your new job! 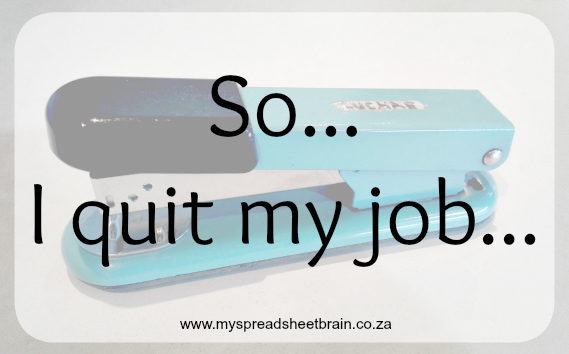 I am sure it’s daunting… I felt the same after I left the company I was with for 8yrs. Started when I was 19…got married, lost my dad, fell pregnant with my first baby….all at that job, so I was an emotional wreck when I left, crying in my new office for days after I started my new job. THing was I hated the old job and my boss, he was awful….lol, but comfort zone…it’s a difficult place to be.